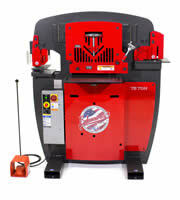 75 Ton Edwards Ironworker can punch 1-1/16 diameter holes through 7/8th inch steel, that is power. 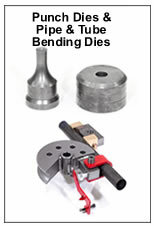 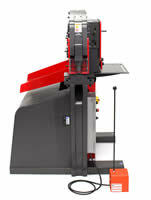 This ironworker also includes a flat bar shear, rod shear, coper notcher and angle shear. 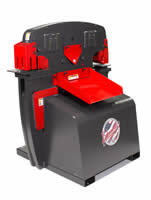 It can power additional Edwards shop equipment if the ** Powerlink System is ordered with the ironworker. 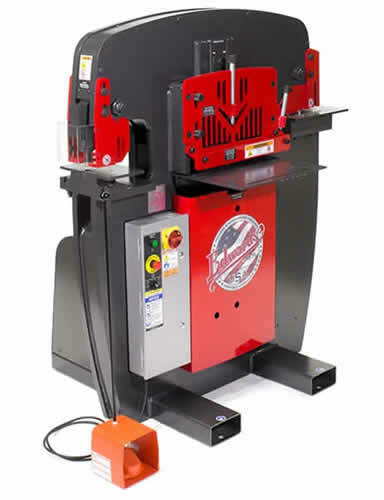 The 75 Ton Edwards Ironworker includes the Pedestal Die Table Punch which allows for the punching of flange or web surfaces of 2" x 2" steel angle, channel and beam. 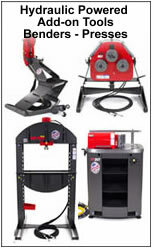 Angle Shear cuts both thin and thick steel angle up to a 5 x 5 inch steel angle.